Fashion is My Muse: The Costume Journal: Oh Canada! Last fall, I agreed to take on the role as editor of the Costume Journal. Although I had more than enough to juggle, it seemed like an opportunity that I could not let pass me by. The Costume Journal is a publication of the Costume Society of Ontario, an organization that was founded in 1971 by Eileen Collard, Alan Suddon, and a passionate cadre interested in dress history. Although the circulation of this publication is relatively small, there are 14 museums and institutions around the world that subscribe to it, including the Royal Ontario Museum, the McCord Museum, and the Ryerson University Library. 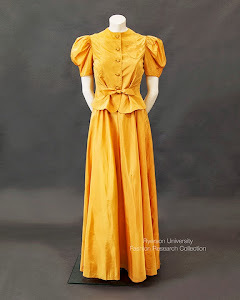 After becoming the editor, I read the entire archive of the Journal from its beginnings in 1971, and was surprised to discover that the CSO used to regularly publish original research on dress, including articles by curators at the ROM and other dress historians. This seemed like a golden opportunity to revisit the Journal's roots. As well, there is a void in research on topics relating to Canadian dress and thus the theme of Oh Canada! was born. In undertaking this redesign, my aim was to make the journal more relevant and modern, finding a niche between an academic journal and a mainstream fashion magazine, and while doing so, still honouring the Costume Journal’s roots. Up-to-date exhibition and event listings are now provided on the CSO website and Facebook page, and also circulated through membership emails. This special keepsake issue is a celebration of Canadian fashion and features articles by invited fashion scholars. Julia Pine writes about the concept of national fashion identity or fashionality and also considers the use of iconic symbols of Canada by artists exploring that liminal space between fashion and art. Jenifer Forrest writes about humour as an element of in Canadian design identity. Alexandra Kim analyzes the use of the maple leaf motif by British couturier Norman Hartnell in the royal wardrobe. Ashely Sivil dissects the performative aspect of gender in the Spring/Summer 2013 collection by Denis Gagnon. As well, we offer a reprint of an article from Volume 8, Number 1, June 1978 by Michelle McMillan called “A Woman’s Work: Art and Industry” about the ornamental possibilities of beadwork. In addition, I compiled a list of key texts on Canadian fashion in the hopes of inspiring new scholarship in the topic. 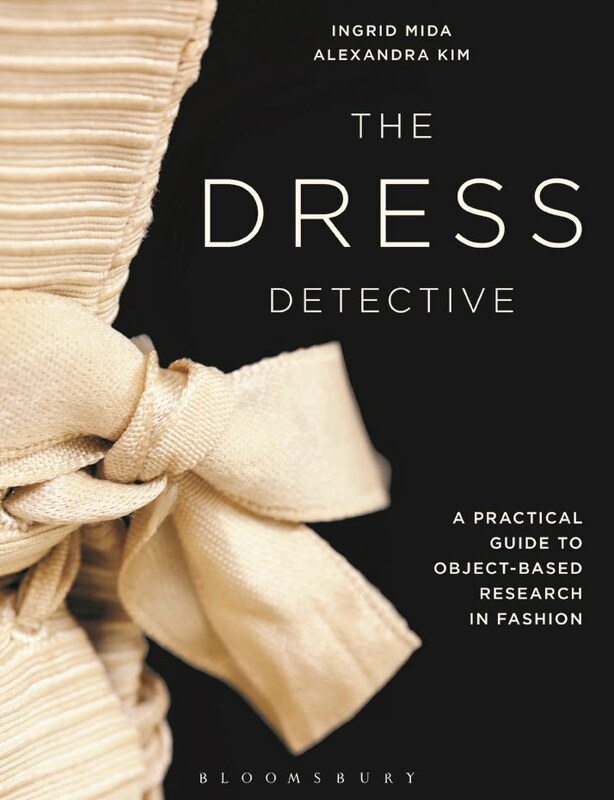 The cover features the work of Marta Kowcun, a recent Ryerson Fashion Communications graduate, whose art direction in the photographic series called Dress Toronto caught my eye at MassExodus 2013. This photograph features model Mikaela M. from Elite Models in Toronto wearing a dress by Ryerson Fashion Design student Some Kong in front of the Royal Ontario Museum. Being an editor is akin to the work of an orchestra conductor, and I saw it as my job to wave my baton to bring out the best from each contributor. I aimed to make each voice sing, which was harder than I expected. It took over two months of dedicated work to make this 32-page issue happen and this redesign would not have been possible without the superlative skills of Jazmin Welch, a third year Ryerson Fashion Communications student. who translated my vision into reality. Jazmin undertook the challenge with enthusiasm and a keen eye for detail and I offer her my deep gratitude for that as well as her patience and good humour. Unfortunately, this journal is currently available only to paid members, but perhaps at some date in the future the journal will be available for purchase online via the CSO website.